Basic black looks good with nearly every outfit and this ALOR Noir Bangle is perfect for any occasion. 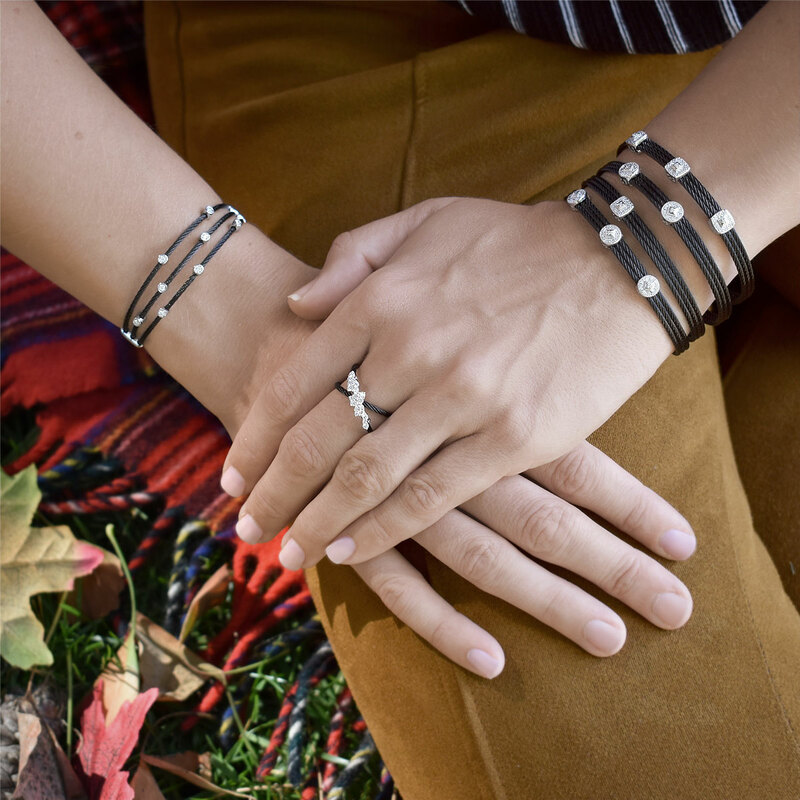 Three black cable bangles are joined together with a trio of shimmering circular white gold stations with diamond studs lovingly placed on the trio of bangles. Ideal for a birthday, Holiday, wedding, or anniversary gifts this bangle will be an instant favorite. Order one in the perfect size for your loved one and show your love in an extra special way. The easy to use clasp makes this a welcomed addition to any jewelry collection.